Ron is Founder and President of TelForce Group. He began his career as an Outside Plant Design Engineer with South Central Bell in East Tennessee in 1977. He continued his career for 9 years as an OSP Engineering Consultant working for Sprint, Verizon and AT&T. He became involved in the staffing industry in 1985 providing recruiting and executive search services to the telecommunications industry. Ron has worked with clients both nationally and internationally. Ron has planned, launched and managed multi-million dollar businesses with 400+ staff and field employees. Throughout his career, he has launched new divisions, turned around troubled companies and streamlined the operations of many existing businesses. 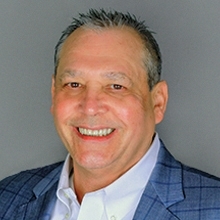 Ron’s diverse career has covered the start-up of new divisions and new companies as well as improving existing companies from marketing, business development, recruiting, mergers and acquisitions.